Here's a scary thought: a creepy, parasitic alien race like the Flood could be out there, waiting for us to stumble upon them. How would we theoretically build one of the gigantic, Flood-killing Halo arrays from the Xbox series of the same name? With super-science, of course. A new video over at Nerdist breaks down the various astronomic and practical considerations that would come into play if humanity were ever to try to make something like a Halo. 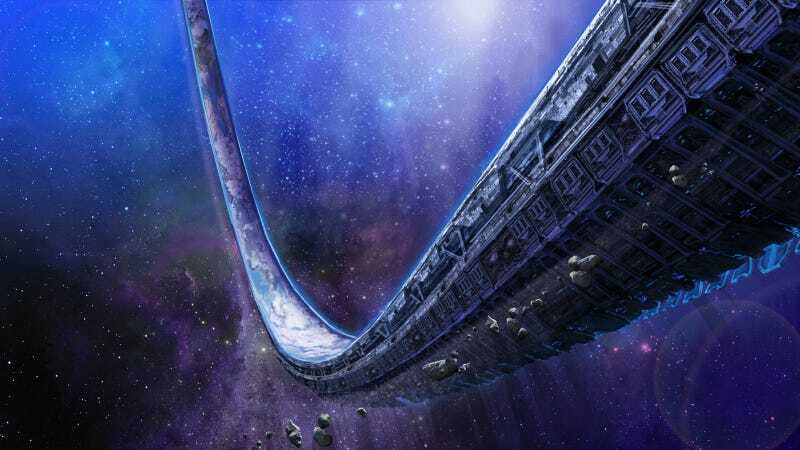 It's probably no surprise that building a superstructure that could surround a planet would require special materials but it is a bit of a revelation to find out that the physics on a ringworld probably wouldn't work the way they do in the Halo games.